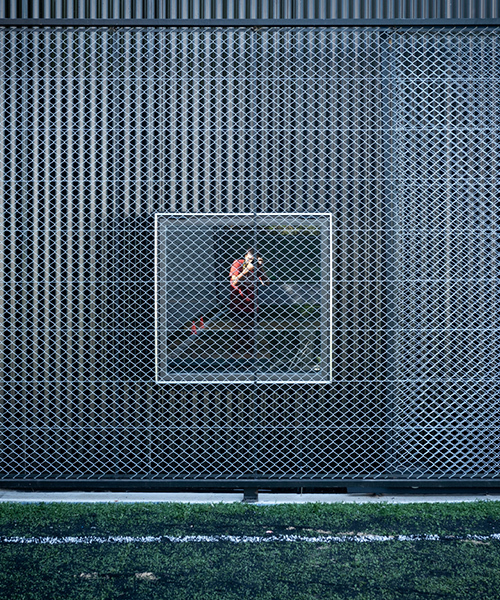 architecture in argentina features a range of projects, mostly coastal residences and buildings that have been integrated into the distinctive landscape to form well-crafted, sculptural spaces amidst the rocky and uneven topography. 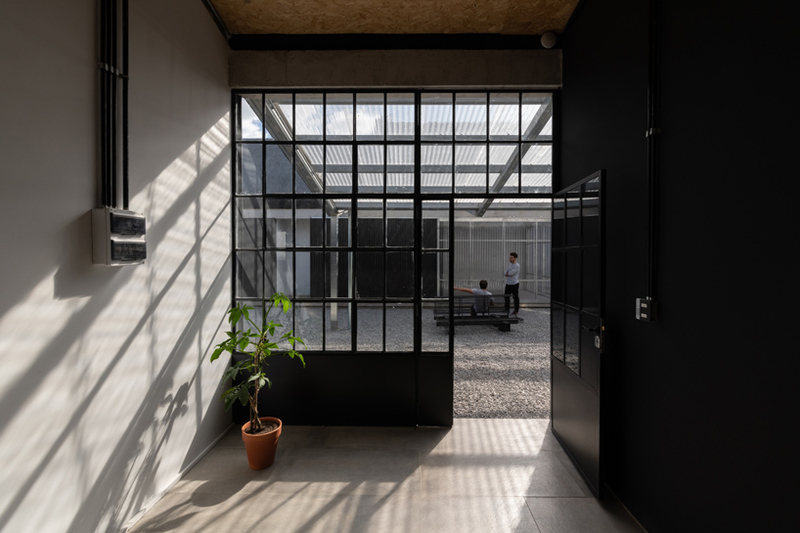 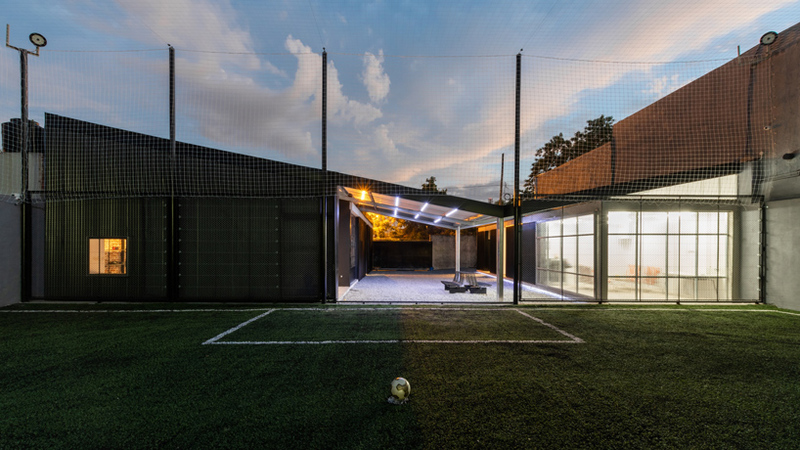 argentinian studio además arquitectura constructs a multipurpose space in its renovation of a derelict house adjacent to a public soccer field. 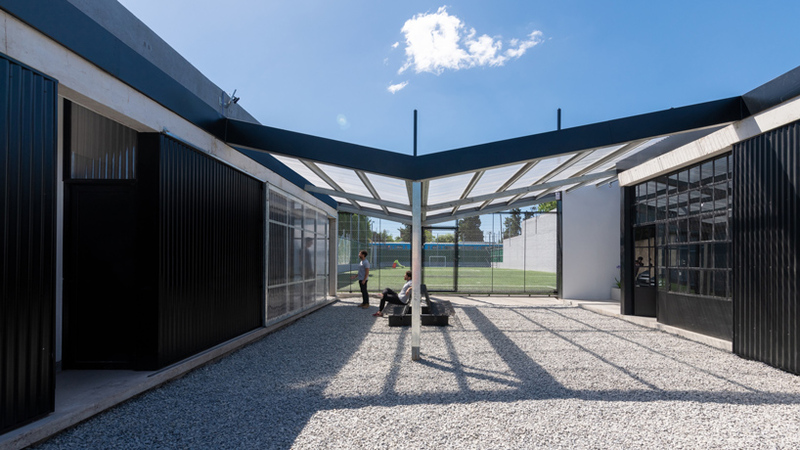 sited in buenos aires, the pre-existing structure had already undergone considerable demolition prior to the initial the design stage. 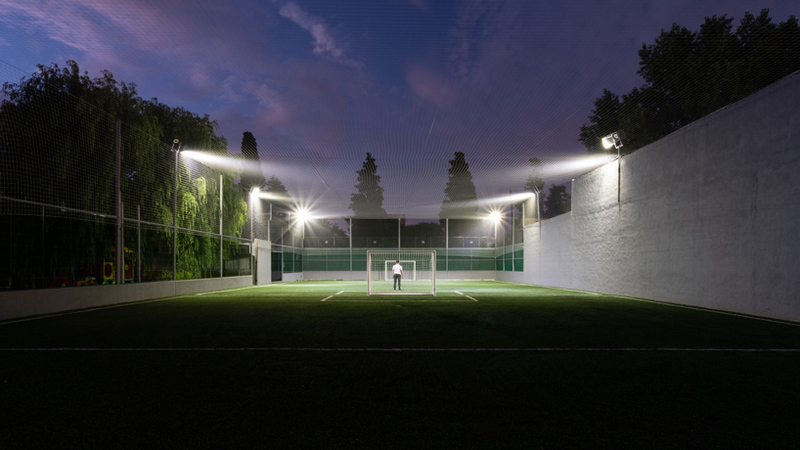 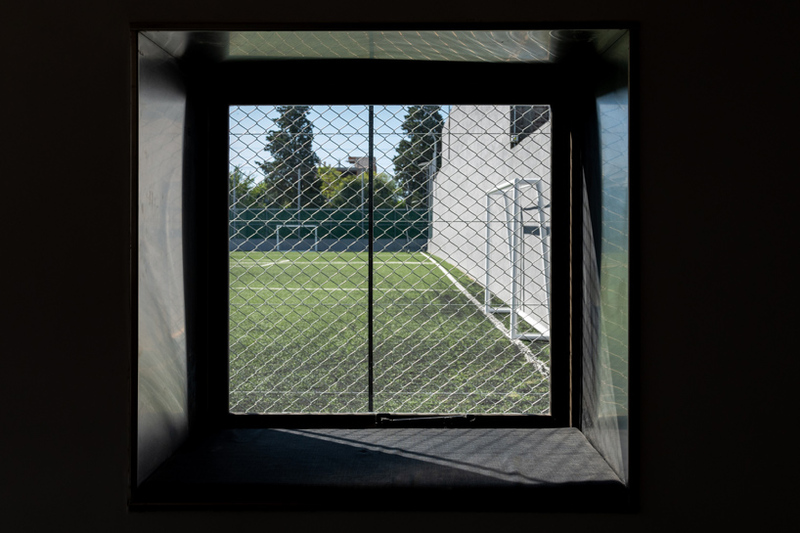 the renovation, divided between public and private programming, introduces facilities to serve student soccer players during the day — including a warehouse, locker room, and kitchen — as well as a private loft and office. 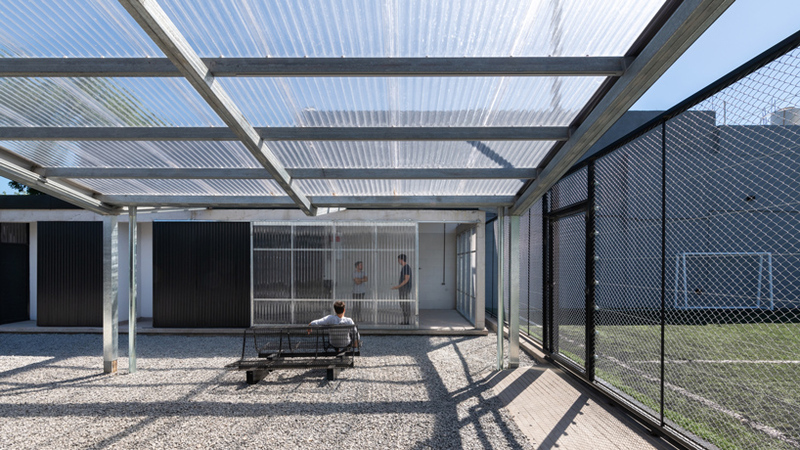 the dual structure is unified by a pitched roof, reconstructed in translucent corrugated plastic, overhead a central patio. 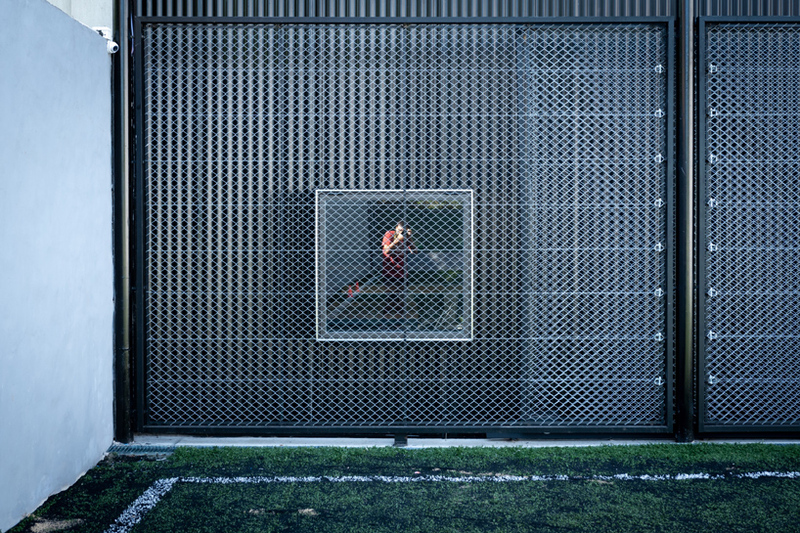 además arquitectura introduced continuity to the divided, multi-programmed project through a ubiquitous material language. 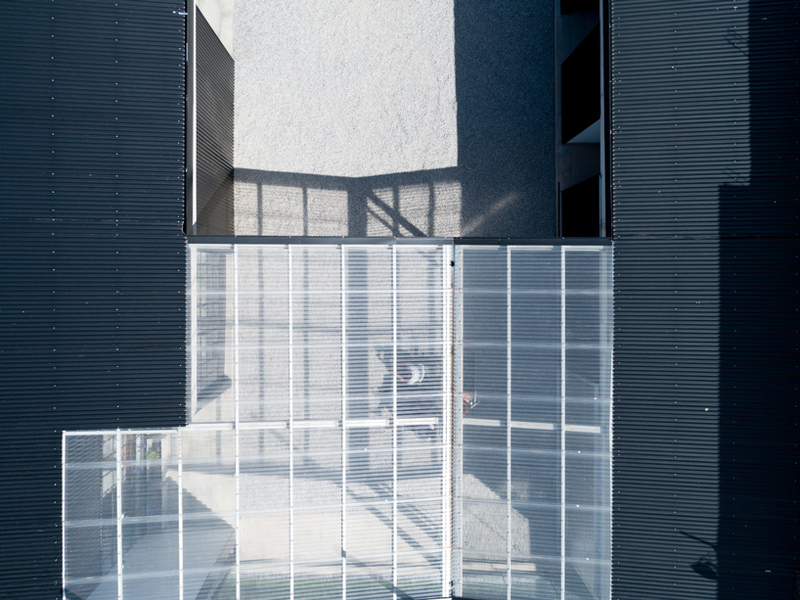 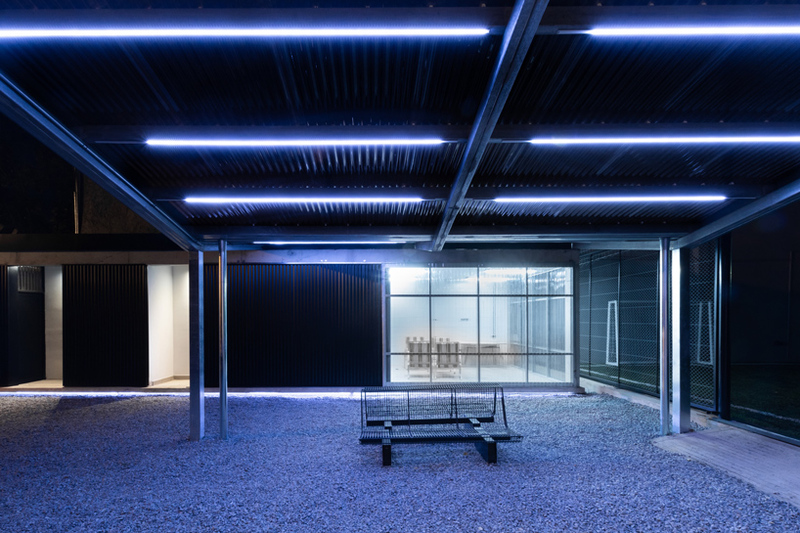 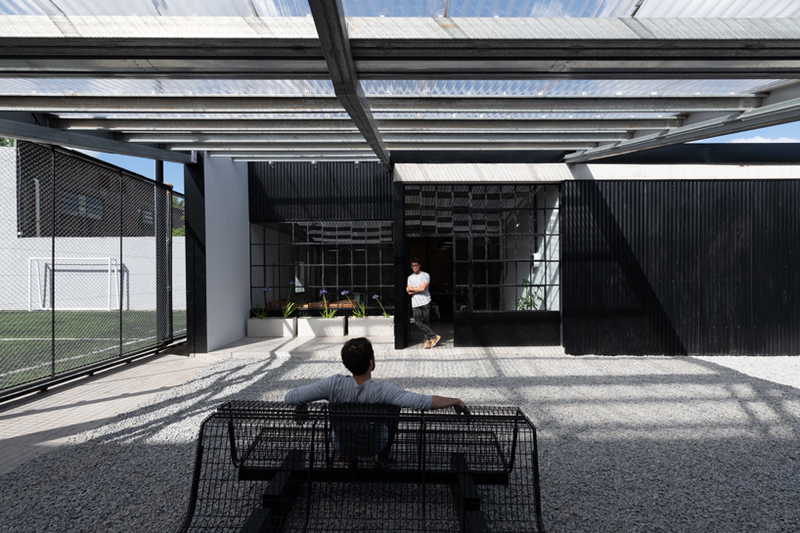 the building is primarily clad in corrugated black metal with elements of translucency. 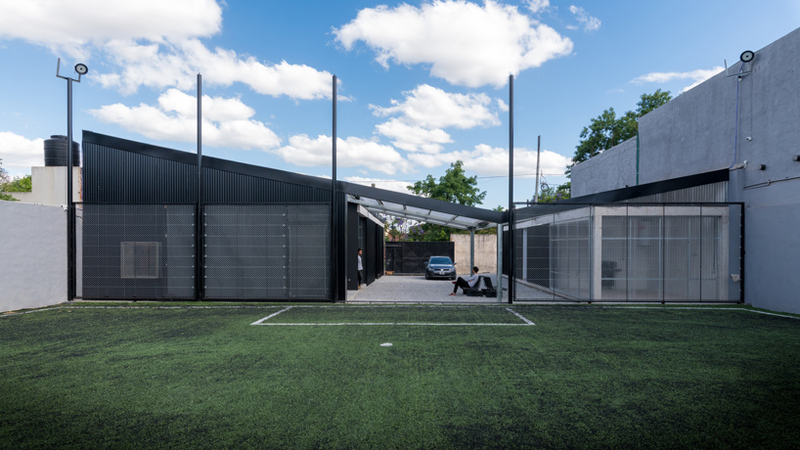 the roof structure serves to both unite the two volumes and visually frame the adjacent soccer fields. 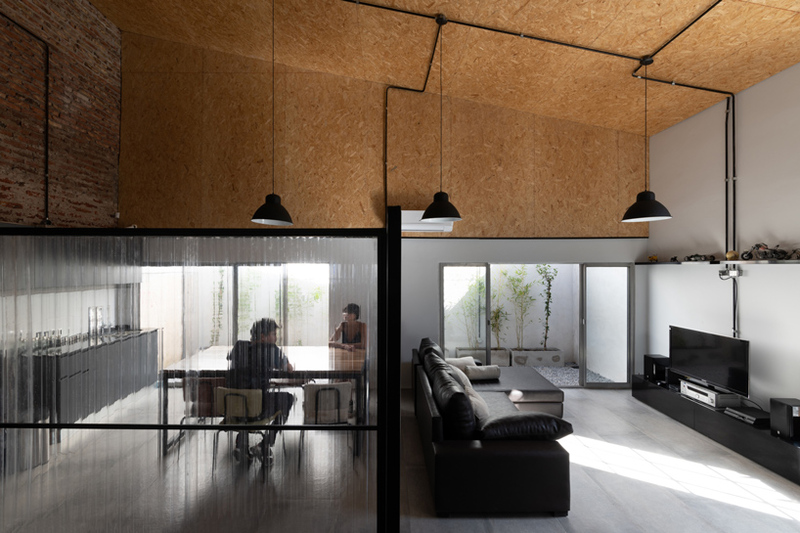 the larger of the two volumes houses the private office and loft. 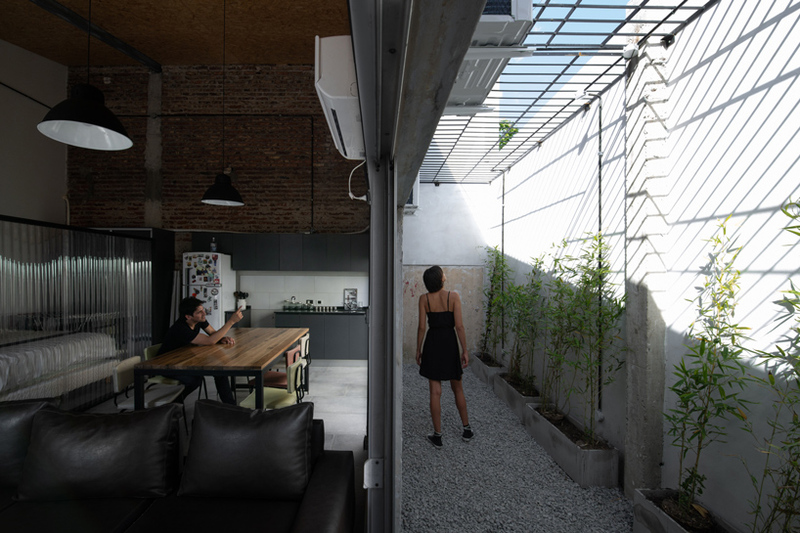 while the office faces the shared zone, the loft receives a private patio, maintaining its privacy.